George Milligan [1860-1934], “The Greek Papyri – with special reference to their value for New Testament study,” Journal of the Transactions of the Victoria Institute 44 (1912): 62-78. 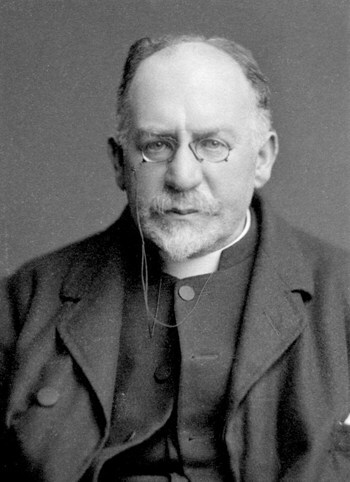 It was a notable pioneering achievement for Milligan to issue, while still at Caputh, a standard commentary on St Paul’s epistles to the Thessalonians (1908), in which among other things he applied the new papyrological evidence to a re-examination of the Pauline grammar and vocabulary. He began his great work, The Vocabulary of the Greek Testament (1914–29), in collaboration with J. H. Moulton, and after the issue of part two in 1915 completed it single-handedly. Its comprehensiveness and accuracy provided a foundation for successors to build upon, while remaining readable and full of human interest. I suspect that this lecture is little-known, but I hope that, like his other works, it will still prove of Interest today. The most significant fact in the modern study of the New Testament is the recognition that it has a history, and consequently that its several books can only be fully understood in connexion with their surroundings or the special circumstances that called them forth. Everything, therefore, that throws light on the outward conditions of the New Testament writers is of value. And it is just here that we are in a peculiarly favourable position to-day. In the past, archaeological discovery has been mainly concerned with the Old Testament, but now the light it sheds has been extended to the New Testament, and is largely derivable from the immense number of texts on stone, on earthen ware, and on papyrus which recent discoveries have brought within our reach. It is only with the papyrus texts that we are at present concerned, and for their preservation we have to thank them marvellously dry climate of Egypt. The first finds were made at Gizeh as far back as 1778, but it was not until 1877, when several thousands of papyri were unearthed at Crocodilopolis, or Arsinöe, the ancient capital of the Fayûm district, that public interest was fully aroused. The work of exploration was afterwards extended to Tebtunis, Oxyrhynchus, and other likely sites, with the result that we have now thousands of these texts in our hands. Some were discovered in the ruins of old temples, others in the cartonnage of mummies; but the greater number were found in what were literally the dust or refuse heaps on the outskirts of the towns or villages. The old Egyptians, instead of burning their waste-papers, as is the custom amongst ourselves, were in the habit of tearing them up and throwing them out on these heaps, where, thanks to a covering of desert sand, they have lain in safety all these years.